This guide was written by Bruce Kasanoff. It is an expanded version of an article he first published on Forbes; that piece has been read over one million times. Is this how your company works? Does it carve out time for people to be creative and to explore? In many cases, the answer is no. That may be why large companies often hit a wall and stop innovating, or growing. Small companies hit this wall, too, whenever a leadership team gets too rigid or regimented. There are limits to what discipline and data can produce. Our increasingly “data-driven” world has severe limitations. Writing a few years ago in The New York Times, Gary Marcus and Ernest Davis pointed out that "A big data analysis might reveal... that from 2006 to 2011 the United States murder rate was well correlated with the market share of Internet Explorer: Both went down sharply. But it’s hard to imagine there is any causal relationship between the two." In other words, big data does some things very well, but it is a long way from a magic solution to, well, anything. And yet we are increasingly surrounded by leaders and organizations that want to make every decision based on data. But there's another problem, and it's a significant one: big data can be just as biased as your stubborn old uncle who thinks everyone who disagrees with him is an idiot. According to the Irish Times, "researchers at Eurecat — the Catalonian Centre for Technology — in Spain and the Institute for Scientific Interchange in Italy, agreed that 'algorithmic bias exists even when there is no discrimination intention in the developer of the algorithm'." This does not mean that the programmers were biased; it could also be that the data sources contained certain forms of bias. The antidote to such flaws and weaknesses is not more data. Instead, we need to raise the amount of respect given to the very human skill of intuition. Mind you, I'm not talking about blind hunches or a "feeling" that comes over you one Sunday night while you watch House of Cards. 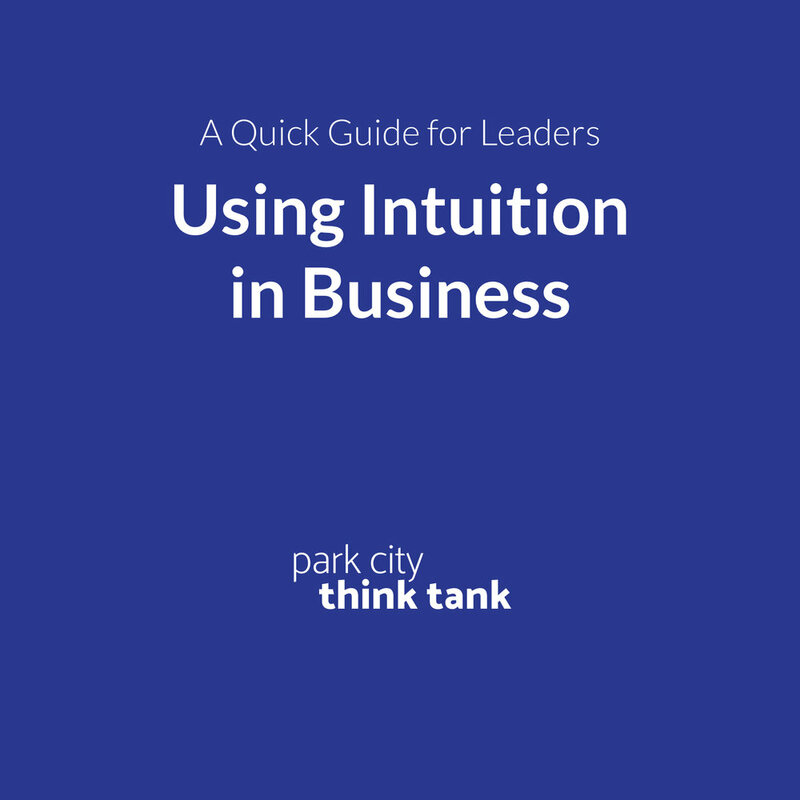 In the context of professional organizations, intuition literally means arriving with confidence at an answer without being able to explain how you got to that answer. In the big data era, being unable to explain your logic is a huge liability, and yet this is exactly what happens with expert intuition. In the years ahead, artificial intelligence and automation are going to kill millions of jobs, maybe even your job. You're not going to be able to protect your job simply by acting more like a computer… because every computer will be able to out-computer you. Instead, you need to foster uniquely human skills, such as intuition. The same is true for your organization. Human qualities will become more important in the years ahead, not less. I'm a realist. Many leaders and professionals will read this article and scoff at my conclusions. They'll argue that gut instinct is the realm of biased, lazy workers. They'll say that facts and logic rule today, nothing else. Time will tell. I'd still bet on the judgment of true experts — actual human beings — who know how to study the data, apply rational thoughts, but ultimately also trust their intuition. In far too many cases, the facts tell you to do one thing, but your intuition screams the opposite. When that happens to me, I never ignore those screams.